The Villagers recently awarded more than $20,000 for college scholarships to deserving students with an interest in architectural historic preservation and restoration. Seven students were selected from the field of applicants based on scholastic standing, recommendations, samples of their work, and statement of interest in preserving architectural past. Toni Garcia and Joan Bounds were co-chairs of The Villagers scholarship selection committee. Committee members included Kathleen Bowker, Louise Bennett, and Barbara Moller. 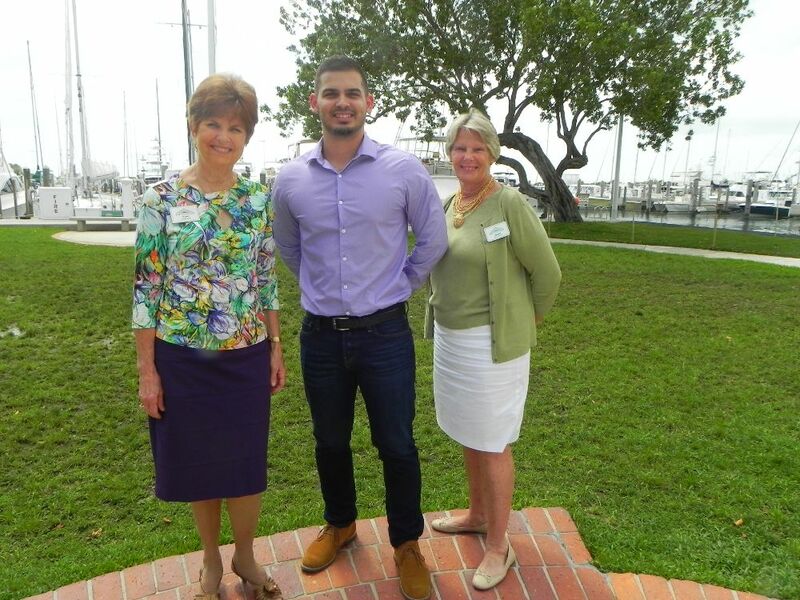 Header image: Alejandro Diaz pictured with Villagers’ Scholarship Co-chairs Toni Garcia (L) and Joan Bounds (R). Photograph provided courtesy of The Villagers, Inc.